Your new movie Viral Beauty - in a few words, what is it about, and what can you tell us about your character in it? I like to call Viral Beauty a tech-rom-com. Something for us, social media and online dating users. In it my character, Marsha Day, becomes an overnight viral sensation when Perez Hilton re-posts her over the top dating ad to his legion of followers. How did you get involved with Viral Beauty in the first place? And how did you end up on the production side of things as well? I lived with the writer, Liz Lam, for a short amount of time and the story started developing because of her living with me. Actually that first script was a short film. I was much heavier at the time and Marsha Day became an overweight girl trying to find love but instead is thrown into the public eye. The story was big and fabulous and was begging to be made into a feature film. There were just so many things to discover. So Liz went away and came back with a whole feature written. She�s brilliant. Marsha was still an overweight character but by this time I had lost 50+ pounds and they still wanted me to play Marsha. I tried to cast her but it was clear to me that David, the director, and Liz wanted me to gain weight to play the role of Marsha Day. They were very polite about it so I agreed to gain 15 pounds. However, when I came onto the set after gaining the weight it became clear to me it wasn�t enough. So I was asked to keep gaining weight until it could be noticed in my face. I ended up existing on Oreos and marked down Valentine's Day candy and gained 30+ pounds in total. I became involved in the production since I had created my own work before with a very similar team. It was only natural to want to do a feature film. It was something I never saw myself doing but in the landscape of filmmaking, the role of an actor has changed so much. I think it is important for me to tell my own stories as an actress and as a producer. They both fulfill the artistic side of me. Viral Beauty can be seen as a commentary on today's social media stardom and such - so what are your personal thoughts about this? The internet itself is a place where you can learn about anything if you search for it and that makes it a wonderful tool. It's a place where people can share their personal thoughts and views and that is something I think, in the long run, has great value. But then you have the shadier things like fake news, product placement, cloaked endorsement deals and people selling a false reality as truth. I think these threats have made the internet a place of deceit and lies for the average consumer. Sometimes those lies can be damaging. As for social media stars, most of them have a platform that they have built. 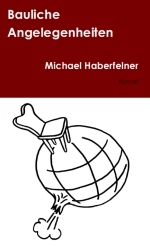 In some cases, it is a very thought out platform in which they have spent a lot of time cultivating. I don�t think the audience that consumes content on social media platforms are always aware of this since a lot of them are young and take things at face value. What were the challenges of making Viral Beauty on the production side of things? The cast was very large! Managing all the those people's schedules to arrive at the correct places and the right times was a massive task. We also had many locations--the world of viral is large! I think capturing the fast-pace, lavish lifestyle of online stardom is also a challenge with a truly indie movie. It forced us to think creatively and with the magic of movies you can really make something special with a collaborative team. 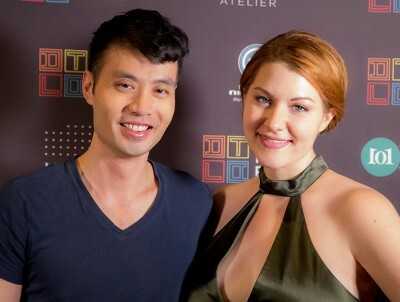 What can you tell us about your director David Tyson Lam, and what was your collaboration like? David and I have worked together many times in the past. I like that he trusts my thoughts and ideas and that he encourages me to bring them to the table. It seems we work well together and we balance each other in the director/actor capacity. Often we get the same hits and inspirations about characters. It may be because we have produced and acted with each other multiple times. It was fast-paced. As most indie filmmakers will know, you are usually wearing several different hats and trying to think about the past, present and future all at the same time. I made it a rule for myself and my crew beforehand that on the days I was Marsha I was not a producer on set. That made things clearer for me to stay in character. But I remember it was non-stop and fast-paced but a lot of fun and if you come out the other side of it wanting to do it again then this business is probably meant for you. It�s tough but I love it! I just finished a new short starring myself and Marc Menchaca. It�s called Parenthesis and if you�d like to know more about it the Instagram is @parenthesisfilm. I did this short with Edna Luise Biesold, the DP from Viral Beauty. It follows a young mother who is regretting motherhood and the consequences that unfold. It has a much different vibe than Viral Beauty. When I was 4 years old I went to go see a community theater production of a very sad Christmas story about a young boy who had to say goodbye to his grandfather. At one point the boy sang a song that made the whole audience start weeping, including my 4 year old self. I remember tapping my Nana and telling her "I want to be up there one day". Little did my family know how serious I was. I believe very strongly that the training never stops when you choose acting for a career. I received my MFA from the NYU Graduate Acting Program and I study currently at The Studio with Brad Calcaterra. What can you tell us about your filmwork prior to Viral Beauty? 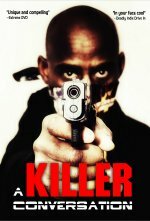 I had started working with a few of my peers on smaller projects such as short films and scene work. I slowly started to build a community around myself who would support and inspire me. I continued to work along with people that I trusted and with whom I could grow. I�m an actress first but filmmaking came from my desire to act in different roles. I work the same way today but the scale is bigger. How would you describe yourself as an actress, and some of your techniques to bring your characrters to life? I am a very organic actress. I know that probably sounds "a little far out there", but I approach roles differently depending on the character. Some parts require huge amounts of character work because they are so different from me and others are so close to myself that I work on staying open and vulnerable so the performance can come through. But I do like going to music, people, and animals for inspiration. 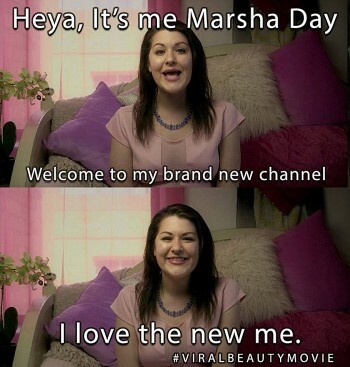 Marsha Day was interesting because the world of social media fame was extremely different from me but the experiences of rejection, body image, trying to �make it� in the entertainment industry are extremely personal. I hoped I could show those squishy sides of myself and Marsha Day. inspired by different people all the time! Actually some of the biggest acting lessons I have learned are from my peers and watching them work. Again, this answer always changes, but a strong contender is Ghost. It's kinda funny now that I think of it because that movie melts two genres together, romance and suspense, much like Viral Beauty melts romance and comedy together. Damn. That�s a harder questions than the last one. Hmm... I�m not a big fan of films that use females as a ploy devise for the male protagonist. And, unfortunately, there are a lot of them. 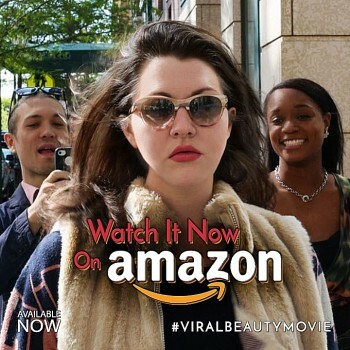 If you visit Viral Beauty website, viralbeautymovie.com, you can learn all about the film and check out the links to our social media pages (Facebook, Twitter, Instagram: Viral Beauty Movie). The whole experience of doing Viral Beauty was like a crash course in acting and producing. This was our first feature film and we learned a lot along the way. It was very difficult but I am so proud of the work we all accomplished and I would do it again in a heartbeat. I was lucky there were a lot of people that I met that wanted to help me and wanted to see me succeed. It was a wonderful experience and one I will never forget. 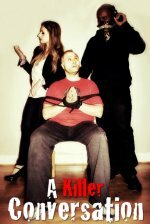 So if there is anyone out there thinking about doing their first feature or even their first short just go for it! Thank you for the opportunity to do this interview. The questions were great!